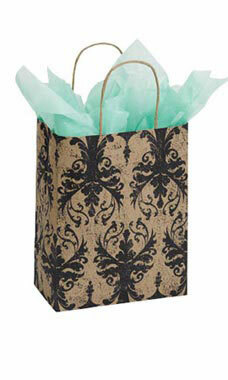 Give your store that edgy look you want with our Distressed Damask Paper Shopping bags. Our Distressed Damask Paper Shopping bags feature a bold black damask print on a Kraft paper shopping bag. This exclusive line of bags is only available at Store Supply Warehouse. Sold in cases of 100.